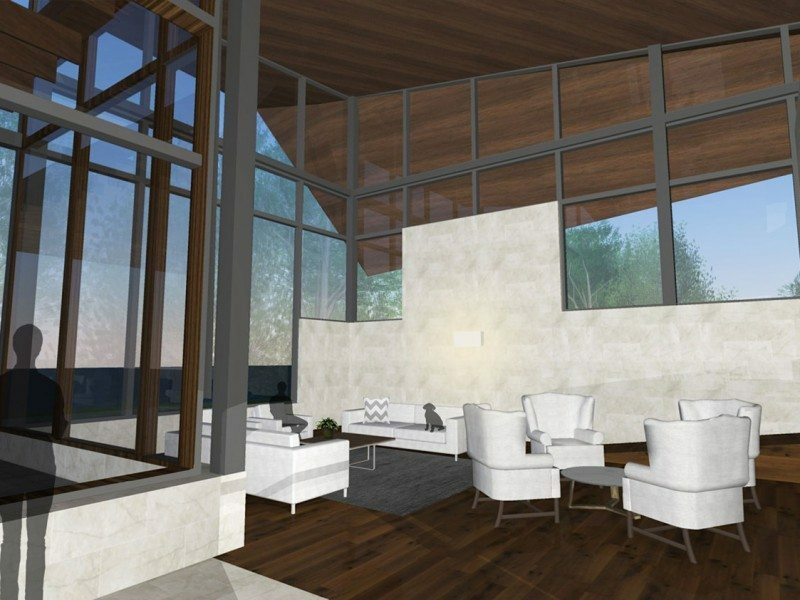 Deep rich Canadian hardwood and limestone distinguish grand formal spaces beneath a roof as skewed and staggered as a wild Canadian landscape in this concept created by Samantha Schneider of Christopher Simmonds Architect. The long, linear, single-storey great house is the least expensive of the designs. It has fewer than half the rooms of the current residence, but the scale of the formal spaces is large, and nearly all the living spaces take advantage of the dramatic view offered by the clifftop location of 24 Sussex. “I guess it’s more residential-scale in some ways — however, the roof takes it slightly somewhere else. I think it just suits the site and the purpose,” says Schneider. The design is partly instinctual, says Schneider. “This is more to do with creating landscape,” she says. Inside, limestone and torrefied ash continue to be dominant elements. 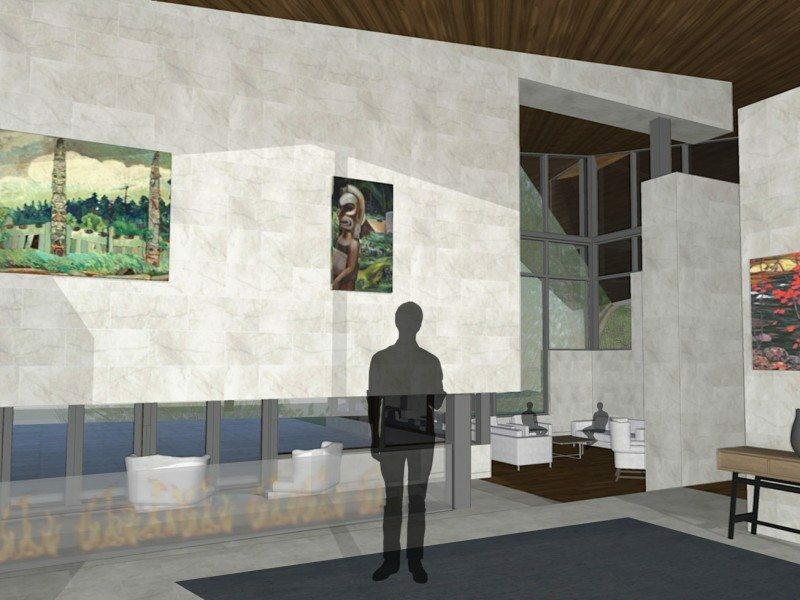 A long floating stone fireplace that marks the grand entrance can also be seen from each of the formal spaces, including the sunken living room and den. Living Space: 7,050 square feet on the ground floor plus 6,350 square feet in the basement. Cost: $3.877 million, not including extraordinary security measures. Materials: Canadian elements predominate. The dramatic roofline is clad in long-lasting zinc and faced on the underside with torrefied ash. The limestone base is re-dressed stone from the original building. Environment: The roof projects to the south and folds along the west side to increase shading, ground-source heat pump for heating/cooling, triple glazing in windows, possible thin-film solar cells on metal roof. Outbuilding: The design assumes an outbuilding that serves as a garage and service quarters. A 2,000-square-foot outbuilding would add $900,000 to the budget. A basement provides space for storage and mechanical services.